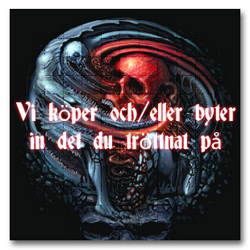 The mega rare Swedish uncensored album artwork. 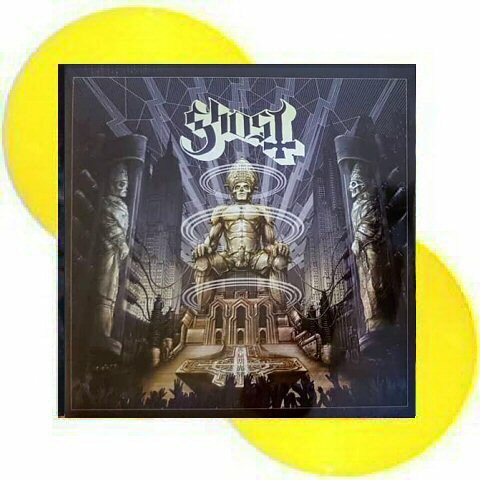 Double album on yellow vinyls with gatefold cover. Ceremony And Devotion, is the the debut live album from the heavy metal group Ghost. With the band just off what is possibly their best tour yet, fans were practically begging for a live souvenir and here it is. Ceremony And Devotion, is a live recording from the band on their recent Popestar tour of the United Stated of America. It has an excellent fan favourite set list including songs like Square Hammer, Con Clavi Con Dio, Cirice and Mummy Dust. Each songs sounds very solid with the band coming across well rehearsed. You’ll find each guitar riff thunderous, every guitar solo beautifully smooth and the backing rhythm just as impactful as seeing the show in person. This album also proves that Ghost do not need the visual element of their live show to be highly entertaining. Everything you need is here and then some. The songs are great, the band sound great and the album sounds fantastic when it is cranked up. There is very little else a Ghost fan could ask for? !